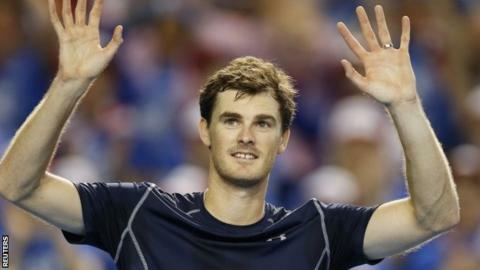 Jamie Murray will become the first British player to top the world rankings, in either singles or doubles, since the ATP and WTA introduced computerised rankings in the 1970s. Marcelo Melo's defeat in the second round of the Miami Masters means Murray will replace the Brazilian at the top when the next set of rankings is published on Monday, 4 April. In doing so, Jamie will beat his younger brother Andy to the world number one spot - just as he did when he became the family's first Grand Slam champion by winning the mixed doubles title at Wimbledon with Jelena Jankovic in 2007. Three years ago, though, Jamie was contemplating retirement as his ranking threatened to drop into triple digits. Here, BBC Sport charts the 30-year-old from Dunblane's highs and lows. Like his brother, Jamie's first taste of tennis was trying to hit sponge balls and balloons around the living room with his mother Judy. And according to his mum, it was Jamie who had by far the better hand-eye co-ordination when young. Despite the horror of the massacre at Dunblane Primary School - during which a 10-year-old Jamie hid under a desk in the headmaster's office as Thomas Hamilton killed 16 children and one teacher - his junior singles career started to flourish. He was the runner-up in the prestigious Junior Orange Bowl in Florida at the age of 12, and ranked two in the world at the age of 13. But it was in his early teenage years that ambitions of a successful singles career started to fade. He had a very unhappy spell at a Lawn Tennis Association (LTA) training centre in Cambridge. He became homesick and, by his own admission, was never quite the same player again. His forehand went from being a strength to a weakness and he lost his enthusiasm for the game. Both his brother and mother felt the coaching he received had been damaging, and Jamie stopped playing the game altogether for the next few months. Life as a doubles player has also had its ups and downs, but Jamie says he has no regrets and argues a successful doubles career is far preferable to struggling to make ends meet on the Challenger or Futures singles tour. He has only entered three singles qualifying draws in the past eight years, but said during the grass-court event at Queen's Club in 2014: "The doubles level is very high. The money is good. Contrary to other comments it is not just a bunch of poor players getting a lucky break with their career." Murray has earned about £1.5m in prize money thus far, and last year he was also - lest we forget - part of the first British Davis Cup winning team for 79 years. Jamie was a Grand Slam champion at the age of 21, courtesy of his mixed doubles triumph on Wimbledon's Centre Court, but it took a long time to find a partner with whom he could become a serial winner on the ATP Tour. Having teamed up with Colin Fleming for the 2013 Australian Open and lost in straight sets in the first round to Michael Kohlmann and Jarkko Nieminen, he fell to a world ranking of 92. He considered calling it a day, fed up with the grind of life as a doubles player without a regular partner. Jamie has played with 63 different players - from Henry Adjei-Darko to Mischa Zverev - in a professional career stretching 13 years. In 2012 alone, he played with 15 different partners, but when he teamed up with the Australian John Peers and Canada's former Davis Cup captain and coach Louis Cayer for a second time in early 2013, life started to look up. He and Peers won six titles together over the next three years, and reached 10 other finals. Last year, they were runners-up at both Wimbledon and the US Open - and qualified for London's season-ending World Tour Finals for the first time. But Jamie felt it was time for a change. A doubles partnership lasting three years is almost as impressive as a Hollywood marriage of the same duration, and with the two not exactly soulmates, he turned to Bruno Soares. The results were instant. They won a tournament together at only their second attempt in Sydney, and then became Australian Open champions in Melbourne. 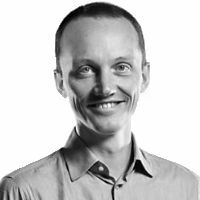 Jamie's greatest strength is his volley, and he can also drive players to distraction with the glorious unpredictability of his service returns. The chip - often directed to the most inconvenient spot on the court - is his stock in trade, and the lob return is becoming his trademark. His Davis Cup team-mate Dom Inglot thinks Jamie has followed the same advice he was given by a senior player when he first started out in the game. "Know what you can and can't do, and don't bother trying to do the things you can't do," was the advice offered to a teenage Inglot. "Jamie has now really perfected that. He doesn't bother trying to hit crazy forehands. He hits that chip - at a world-class kind of level - his backhand is good, his volleys are exceptional. He doesn't try to hit some of the serves he knows he's not that comfortable with, and executes perfectly the ones he is capable of. Look how far it can take you." With a 43-year-old, a 39-year-old and 37-year-old twins all occupying places in the world's top 15, Jamie could look forward to a sustained spell of success. It is hard to know when he might tire of life as a travelling professional, but the next few years at least could offer many more rewards. There are still three Grand Slam men's doubles titles he has not won, and with his brother Andy hoping to be ever-present in the Davis Cup team, last year's victory in Ghent may not be the once-in-a-lifetime achievement it seemed at the time. For now, though, Jamie can savour the moment and the knowledge that - however long it lasts - he will always be able to reflect on how he became the best in the world in his chosen event.